Tucked inside the posh Rockwell mall is a Filipino "Comfort Food" restaurant called Wooden Spoon by Sandy Daza. I grew up watching the "Dazas" on TV learning recipes after recipes. I always tell myself: "They look great on TV but I bet they don't taste as good in person!" When the family and I had were finally at the mall and decided to grab dinner there, it was perfect timing for me to see if it is worth the visit! This is every Filipino's favorite. 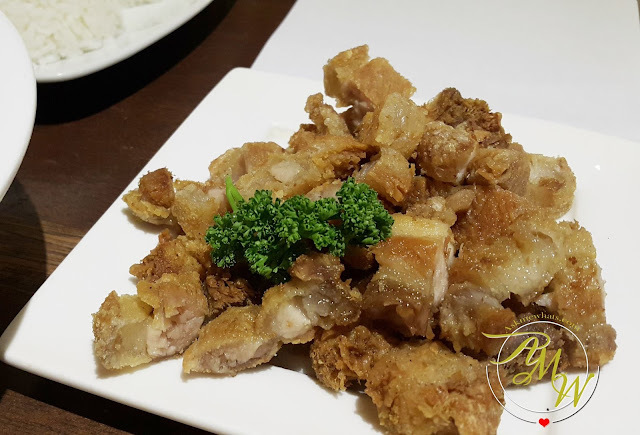 I agree, they use the leanest pork belly and simmered it until very tender before deep-fried. That explains the crunchy texture on the outside and juicy soft pork on the inside! This comes with 3 different dipping and I love them all! I've always been a fan of Tuna Belly from Gery's, but this is definitely a-must-try dish at Wooden Spoon. Why? Well, the tuna belly here is juicy and grilled in perfection! With kamatis itlog na maalat, crunchy green magoes and bagoong, this reminds me so much of HOME. How boring could a regular boneless chicken breast be? Not here! This is literally a Fried Chicken Steak because it is very flavorful even on the inside. 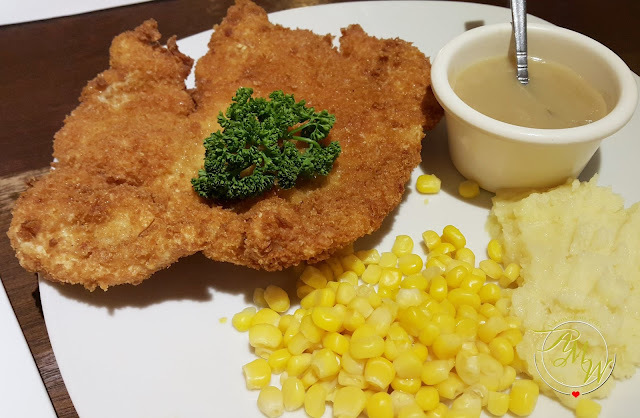 Both children and adult alike can enjoy this dish especially with the company of corn and buttered mashed potatoes! Beef Stew is my ultimate comfort food when I'm tired! Give me this dish with a hot cup of rice, I'm definitely solved for the rest of the day! And the version of Wooden Spoon is no exception! The taste is close to my favorite Korean-style Beef Stew. 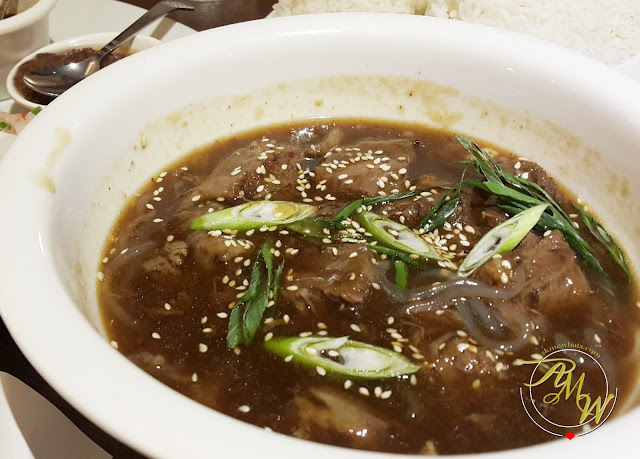 The beef is very tender, simmered for hours (obviously) and the added touch of sesame is a great finishing touch! Overall, it was a nice experience dining here! No wonder the place is always packed and customers go in and out even with the "Cash Payment Basis". I enjoy how everything tasted fresh, straight-from-your-mom's kitchen kind of cooking! No frills, nothing fushion! 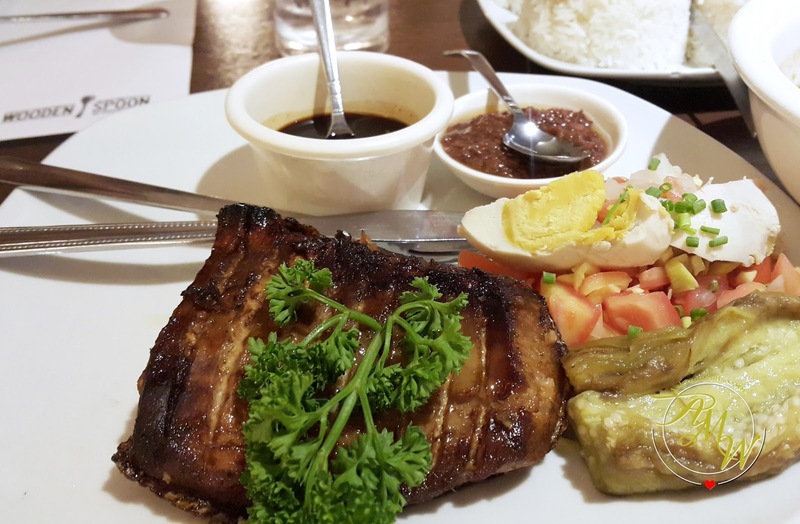 Which I like because I crave for all-time favorite Filipino dishes at times! Checking out their menu and price points, they are priced reasonably! I am so happy to have dined here with the family even my little boy enjoyed the dishes! I will definitely go back and try their other dishes. Any other food recommendations from Wooden Spoon? Mmmm everything looks yummy especially the beef stew. I love Beef stew! It tastes delicious, have you tried ?